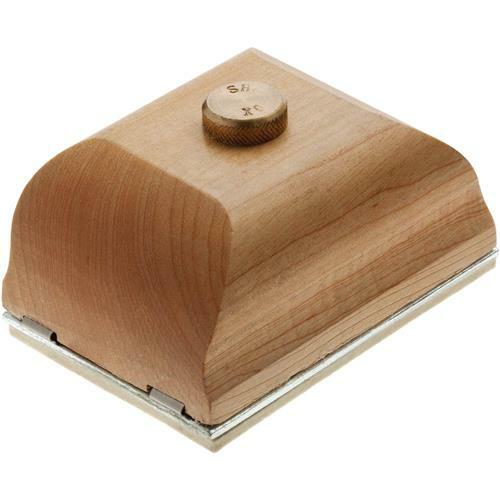 This beautiful hardwood sanding block features a felt pad, ergonomically shaped body and convenient sandpaper attachment and removal. Top-mounted knurled brass knob mechanism secures sandpaper so there's no slipping or tearing. Small block measures 3"x4" and uses one sixth sanding sheet. 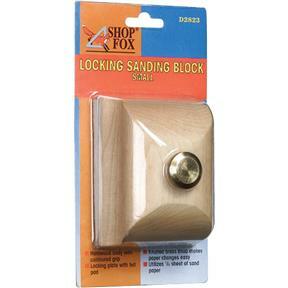 These sanding blocks are the VERY BEST!!! I have one for all of the grits that I use in my woodworking shop. FOR SURE, this is the way to go!! !